Are you plain worn-out from syllabus week? Or stressed from all the assignments that are accumulating on your to-do list? At this point in your life, have you changed your middle name to ‘coffee break?’ If you answered yes to any of these questions, then I am here to help a fellow student out. School is rough, but there are some places that can make your monotonous routine a little better. 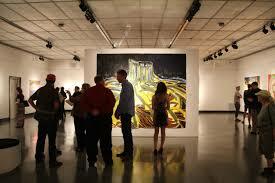 The Grunwald Gallery is located in the Fine Arts Building on our very own campus! If you love art and need a break from your chemistry book, then this is the place for you. This gallery is filled with either work from students in the SOAD or from visiting artists. You will see work in photography, graphic design, painting, ceramics, sculpture, or any type of art you could imagine. Take a look, immerse your mind, and enjoy something other than molecules. 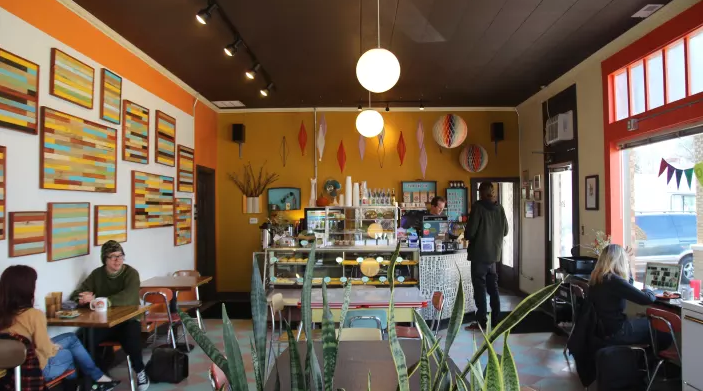 This cute little coffee shop is a few blocks away from campus, but it is worth the walk or drive. The smell of black coffee, the sweetness of baked goods, and the aesthetic of the decorations is enough to distract you from the stresses that college can offer you. Music lovers far and wide, behold the scent of dusty records and listen for your favorite classic tunes. 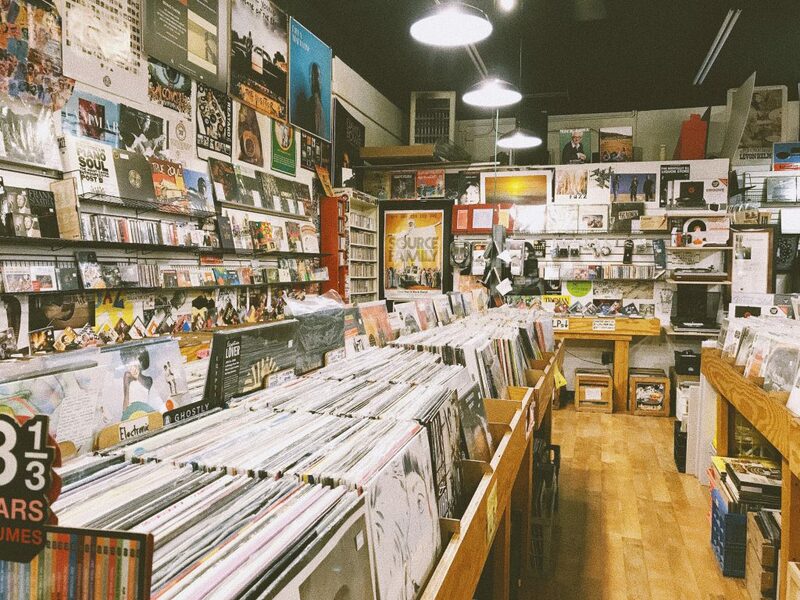 You can get lost in the rows of genres this store has on vinyl, and it can put a smile on almost any one’s face. Find the bands that inspire you, or listen to someone you have never heard of. Either way, everything sounds good on vinyl. I know what you are thinking, why would I want to go to an education building while I am on break? Hear me out, the first floor of this building will captivate you. Students take a seat in the bright orange chairs and relax in the comfort of their own Netflix accounts. This is a place to study, or to watch your favorite Youtubers. 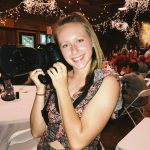 There is not any discrimination here, and there is proof of this by glimpsing up at the humongous screen broadcasting IU’s student news and news from around the United States. People like media, this building encourages it. Grab a cup of coffee, snuggle up on a comfy couch, and flip open your favorite novel. For my readers, nothing compares to reading a compelling book in a room lit by a roaring fire. That sentence even sounds like a dream. Or if you are not a reader, find an empty couch and take yourself a power nap. It is warm, it is cozy, and everyone else is doing it. Nap on! Study breaks are essential for happiness while in college. These places are a few recommendations I have for a relaxing break, but do not be afraid to explore our campus and the wonderful places around it! Support your favorite artists, eat your favorite foods, and find the things you love. Make 2018 your year for getting things done, but be sure to take some well-deserved breaks while doing so. I'm a listener, an observer, and an experiencer. I love to analyze the world and to show others my perspective through drawings, photos, and words. Art is a form of expression, of life, and it is the form I would use to describe who I truly am. I am studying English at Indiana University with a focus in professional and public writing. I am also involved in Run Club and am a photographer for IDS Student News. I work at Friends of Art Bookshop in the Fine Arts building, and I now write blogs for WeAreIU.com! I love this school, and I love being involved in all the opportunities it has to offer students of all interests. I hope you enjoy my writings and will (hopefully) be influenced to create your own.